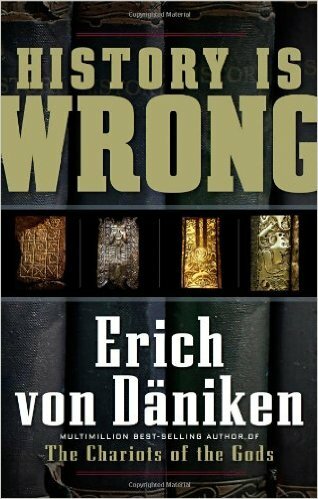 Erich von Däniken again shows his flair for revealing the truths that his contemporaries have missed. In HISTORY IS WRONG, Erich von Däniken takes a closer look at the fascinating Voynich manuscript, which has defied all attempts at decryption since its discovery and makes some intriguing revelations about the equally incredible Book of Enoch. Von Däniken, also, unearths the astounding story of a lost subterranean labyrinth in Ecuador that is said to be home to an extensive library of thousands of gold panels. He supplies evidence that the metal library has links not only to the Book of Enoch but, also, to the Mormons, who have spent decades searching for it, believing it to contain the history of their forefathers. And what about the mysterious lines in the desert of Nazca that resemble landing strips when viewed from the air? Archaeologists claim they are ancient procession routes. Think again! cries von Däniken, as he reveals the data that the archaeologists never even thought to check. HISTORY IS WRONG will challenge your intellect...and maybe a few long-held beliefs. This is Erich von Däniken's best book in years!